Think having “generic” cookie-cutter dental website is better than having something that’s truly authentic to your office and your brand? You might want to reconsider after checking out what Jackie and Alison have to show you in this week’s Wednesday Wisdom. It’s as simple as knowing your ABC’s and this time won’t you press play for me? 1) A is for actual photos. Does your dental website have stock imagery that looks outdated and cheesy? 2) B is for be yourself. Authentic, non-duplicate copy on your dental website can hurt you in more ways than one. 3) C is for craft a story. Have you ever tried using a relatable, emotional story to connect with patients? This dynamic duo covers a lot in this video, so you’ll be learning (feel free to take notes or watch again) the entire time. Alison: 00:04 This episode of Wednesday Wisdom is brought to you buy the letters A, B, and C. I’m Alison. Jackie: 00:10 And I’m Jackie. And we’re here today to talk about the ABCs of authenticity on your website, so let’s get started. Jackie: 00:18 A is for actual photos. People today can tell a stock photo a mile away because they’re everywhere. Use custom photography, both of your team and of your patients, on your website to really set yourself apart from the competition and show potential patients how you really can transform their lives. Alison: 00:39 Great points, Jackie. B is for be yourself. 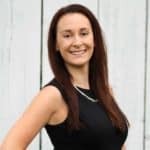 Alison: 00:44 Being authentic in your website copy can really help establish trust with potential patients and maintain trust that you’ve built already with existing patients. Think about it. People are getting marketed to every second of every day. There’s nothing they hate more than being felt like they’re being sold to. The best way to combat that is to use an authentic voice in your website. Always be yourself in all of your marketing and, of course, in your practice. Jackie: 01:13 C is for cupcakes. Jackie: 01:17 Oh, okay. Maybe not cupcakes. Sorry. C is for craft a story. Whenever you can, use a story to educate your patients about a specific treatment or procedure so they can say how it changed their life. You can do this through the copy on your website or, better yet, using a video of actual patients telling their own personal story. You can also encourage your patients to write about how the procedures have changed their lives on social media or review platforms like on Google or Facebook. Alison: 01:54 When it comes to creating a great dental website, you really can’t go wrong by being authentic and following the ABCs of authenticity. Use actual photos whenever possible. Always, always, always be yourself. 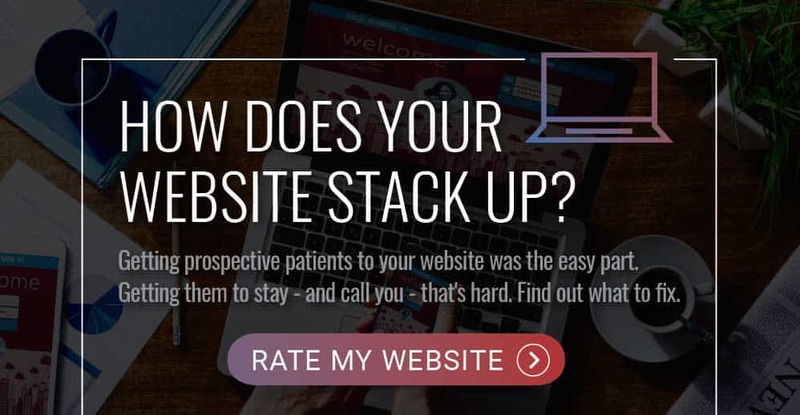 C, craft stories by using videos, actual patient testimonials, or have a solid review feed within your website. Doing these things can really help set you apart from the competition. Jackie: 02:19 If you’re looking for some motivation, we just updated our website. Go to GoldenProportions.com to check it out. That’s it for this week’s edition of Wednesday Wisdom. Feel free to comment or share or ask a question below and tune in next week for another helpful tip. Jackie: 02:37 Thanks. Can we get some cupcakes up in here?